This morning I woke to a dusting of snow all around us. 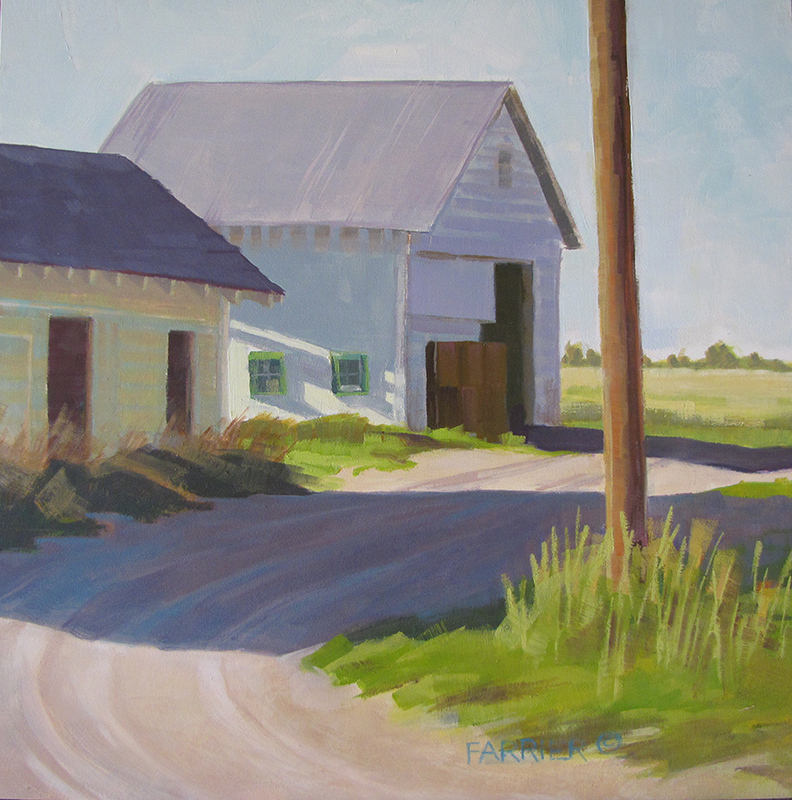 It made me happy that I had been out painting in the field while the summer heat lasted. At any rate, I felt that my color relationships worked well on this piece. It must have been Michael's input - when I explained that I was trying to mix the color of the light on the phone pole, he spoke up quickly...'Why, that is maple syrup, for sure.' By George... he was right! ;). Life is full of unexpected treasures! 'End of Summer' is painted in oil. It is 12" x 12".